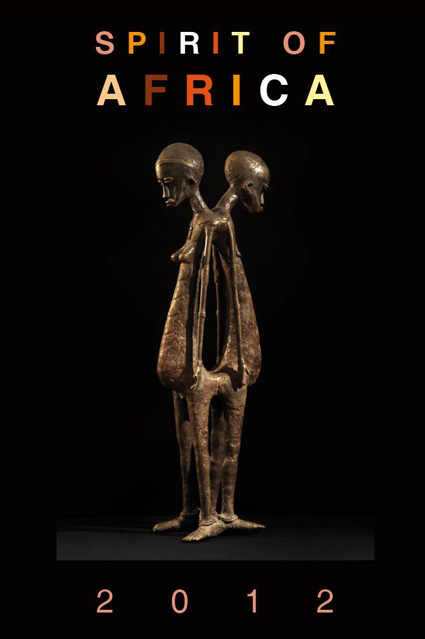 Wood & metal sheet, H 94 cm & 97 cm/ 37 in. & 38.2 in. 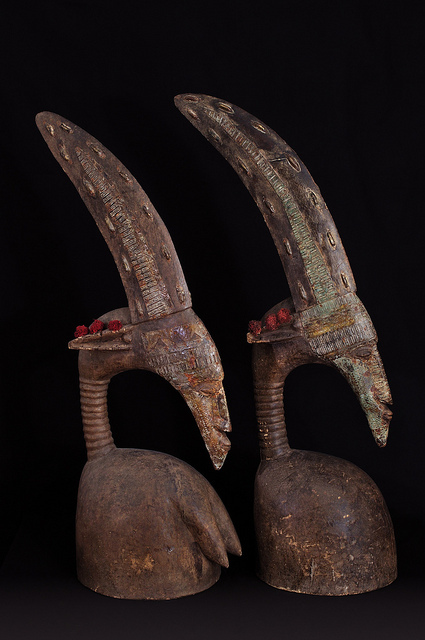 These 'Tjiwara' style masks depict the roan antelope with its strong horns slightly curved backwards. 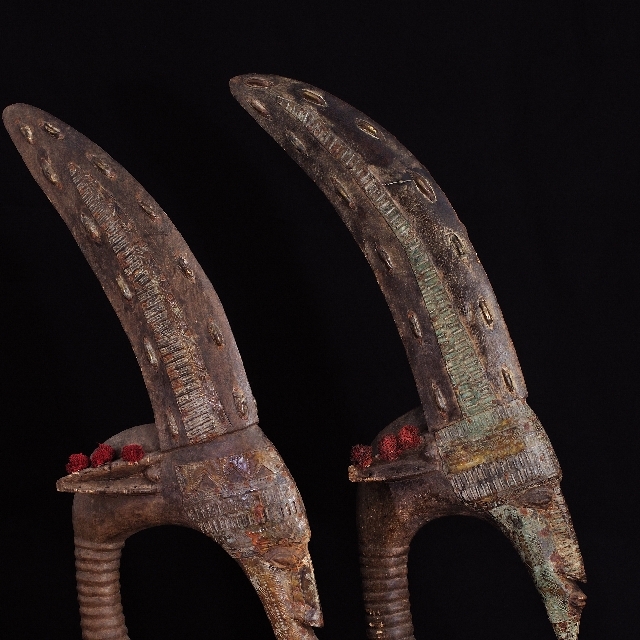 The high ritual importance of these head masks is rooted in the believe oder tradition that the antelope taught the people of the Bamana how to plant. 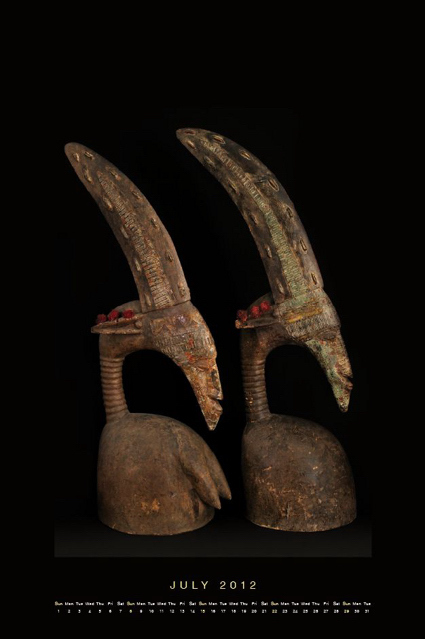 Seldom is the variety of African work so clearly expressed as with these sculptures: this pair shows a human-like face, powerful horns and an elongated shape of the neck.